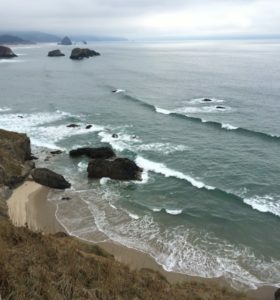 The month of January often invokes a reset of sorts and many people become aware of internal nudges signaling a deeper desire, a sense that something more exists in the way of fulfillment. Perhaps that nudge(s) at the deep-down core of a person is actually a calling right smack in the heavy shuffle of daily living. Or maybe that nudge arrives not in a heavy shuffle at all, but rather in the slightest shuffle of boredom or indifference. Either way, the question remains: What to do with the nudge and whether or not to trust the yearning? 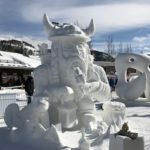 Last week the International Snow Sculpture Championships occurred in the mountain town of Breckenridge, Colorado. 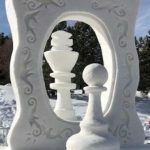 Sixteen teams from around the world competed to hand-carve something of interest without the use of power tools from their own 20-ton human-stomped block of snow towering 12 feet tall. 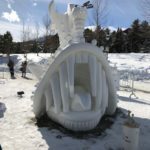 Creative, enterprising, and gravity-defying are all words that describe the sheer ingenuity of those sculptures and the vision and skill of their makers. I was gazing at breath-taking works of art. 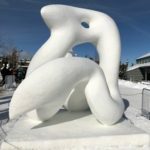 What occurred to me though as I toured each snowy masterpiece along the outdoor boardwalk in the frosty air that day was how each sculpture began as an idea. That idea developed into a plan. That plan was constructed by human hands to its completed form. I don’t really consider myself a block of snow but I do consider myself in process, meaning, in the state of becoming. 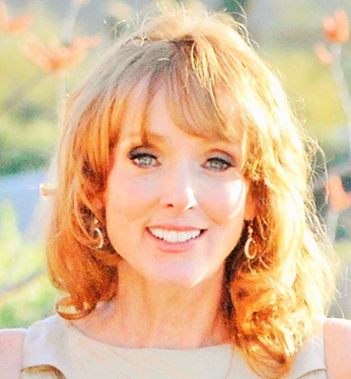 Those nudges that percolate my days and nights seem to come in the form of longing. It’s like a hunger of the soul. Is this where ideas, plans, and implementation begin? In longing? In the glimmer of longing? 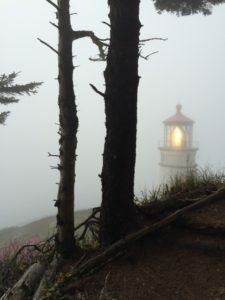 If the nudge is truly inspired, i.e., in all matters of body, mind, and spirit it seems infused with a higher grace, a higher wisdom, a higher calling as opposed to arbitrarily concocted out of selfish desire, for example, will that nudge then require a response? And here is where the glimmer of longing makes a lot of sense to me. Because, if the nudge is truly authentic, in a word holy, we will long for what we are called to accomplish.